So, let’s take a look at some gorgeous pattern ideas about what to do with those last little bits of sock yarn. 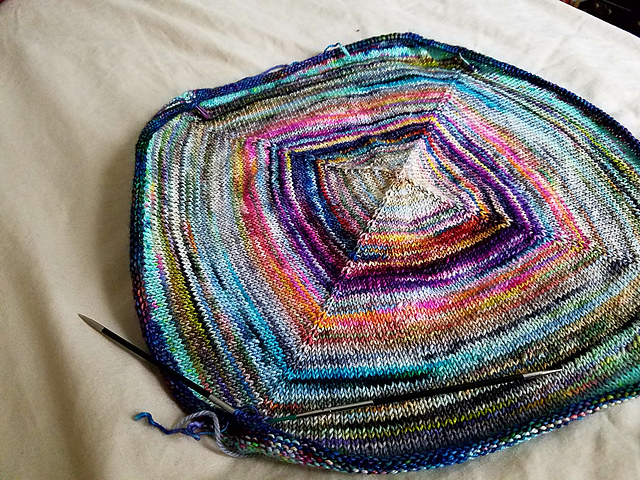 I love this simple blanket- it’s nothing more complicated than a mitered stockinette square, but the combination of all those sumptuous colors of leftover sock yarn… gorgeous! I really love this blanket, too. 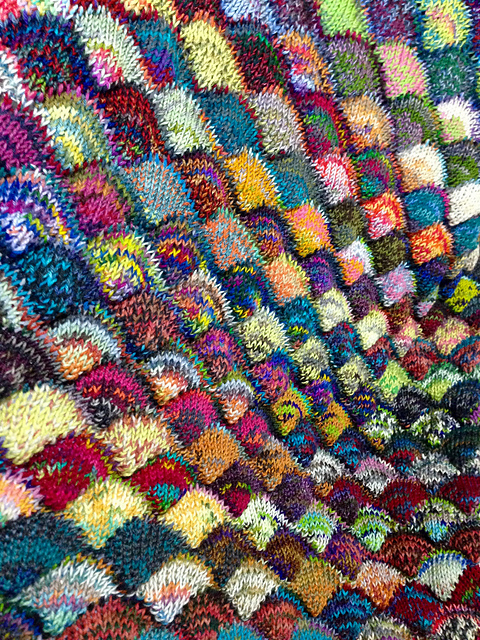 I love the seashell pattern, and the fact that it’s all knit in a single piece- no seaming! I imagine the short rows might get a bit tiring after a while, but the finished product is so pretty, they might be worth it. What do you do with your scrap yarn? 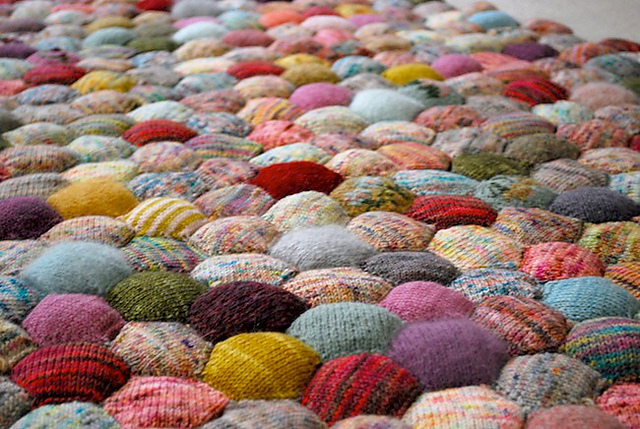 Do you have a go-to scrap yarn project? This entry was posted in Inspiration and tagged blanket, knitting, leftover, scrap, scrap yarn, sock yarn on July 7, 2017 by onemilljellybeans.